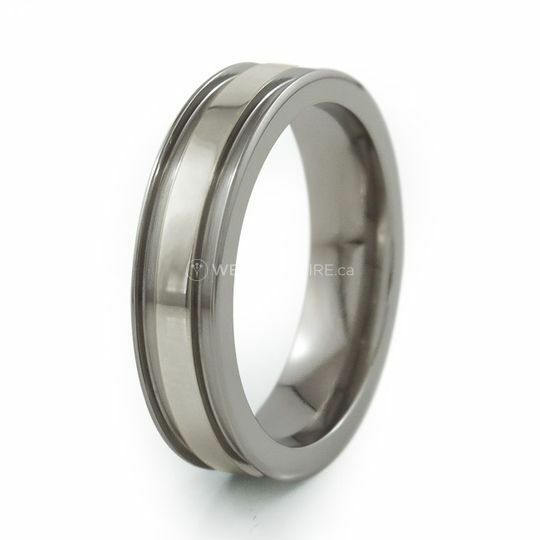 Titanium Rings ARE YOU A VENDOR? Strong. Durable. Reliable. 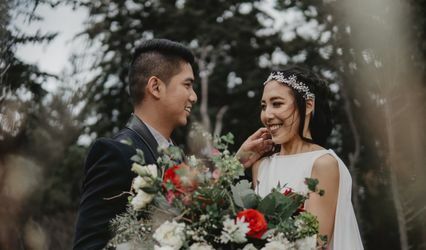 Not only are these the three elements that make up the foundation of a titanium ring, they are also the foundation for an everlasting marriage. 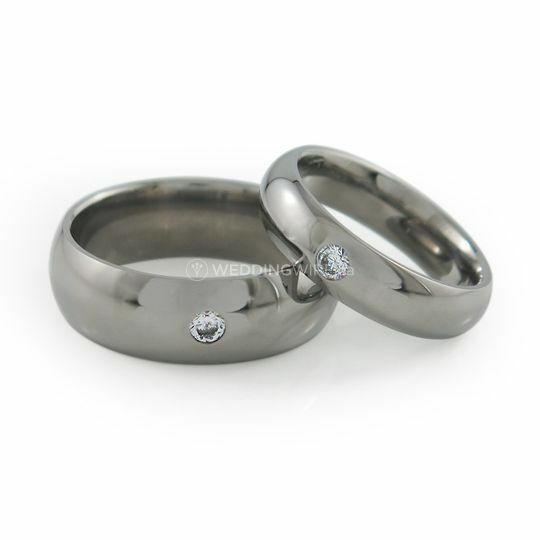 Titanium Rings symbolize strength and endurance as couples commit their lives to one another. From the first consultation, to the very last touch, rings are designed specifically for each individual, and each couple. 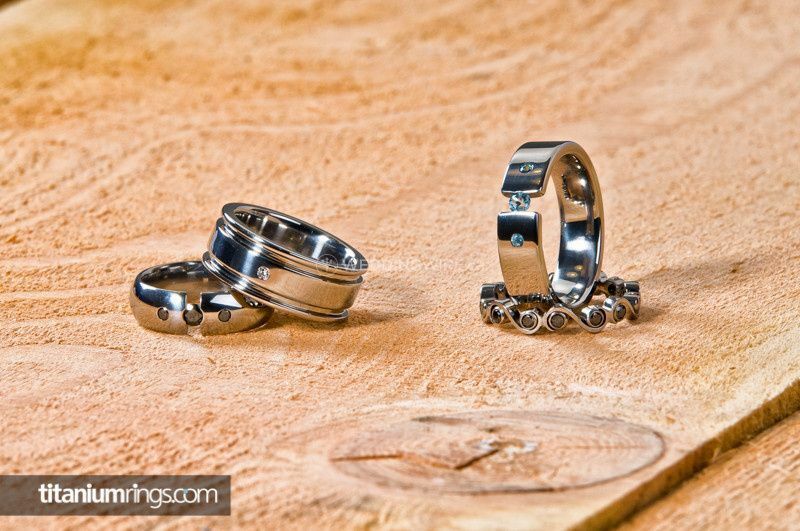 Titanium Rings has been crafting unique, and original designs since 1997. The team uses real titanium with a touch of your own design. Rest assured that every design and every product is made with aircraft grade titanium. Free shipping is provided, and orders are shipped throughout Canada and the United States. Allow up to 10 business days for expected delivery time. Lifetime warranty is available for defects, as well as lifetime refinishing. Complimentary engraving is also provided. Easy to order. 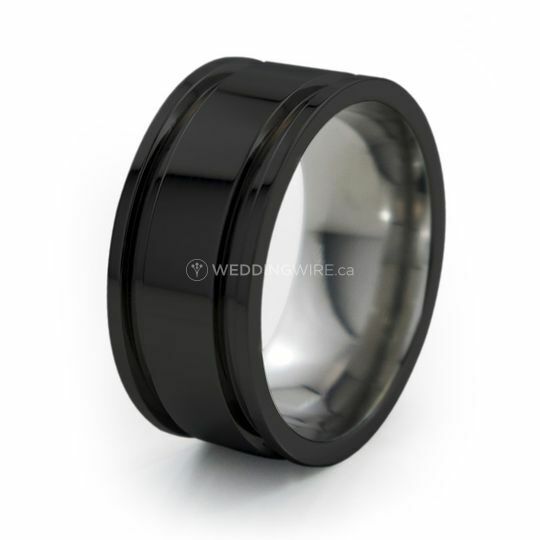 Easy to customize your ring and finish. 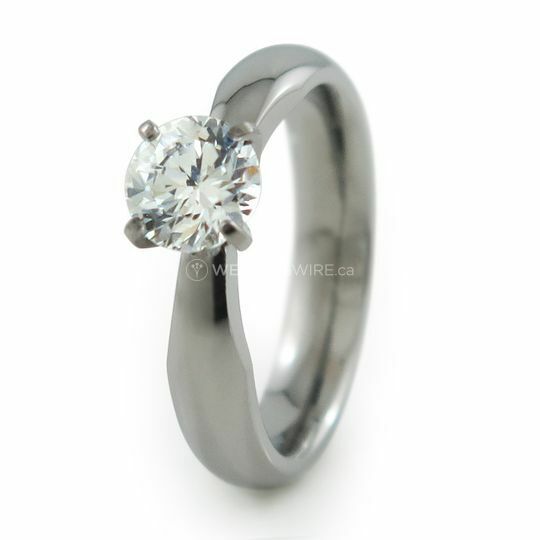 I chose them so we could get a custom ring and get the correct size, which we did. They were really helpful when I needed to live chat with them about getting the wedding wire discount. OMG!!! What can I say...our rings (Stella Black & The One Ring) were beautiful!! They were exactly what we wanted!! We could not have chosen a better place to get our rings!! I DEFINITELY RECOMMEND YOUR PRODUCTS!!! Their customer service department was so helpful when I order my husband's ring a little too late they wanted to make sure I had a ring for our ceremony and made sure the ones I ordered was at my house in more than enough time. 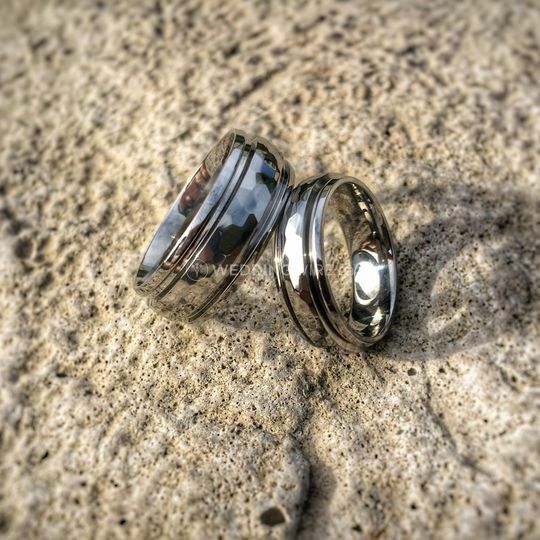 In addition to being completed and delivered in a timely manner I recieved an email that they were not completely satisfied with the original ring they sent me so they manufactured my groom another one and allowed us to keep both. I cannot believe how easy they made this process! This company is wonderful! we purchased our rings on Valentines Day (they were having a special) and when we got them they were a bit bigger then we expected. The customer service was always polite and courteous, very friendly as well! We were able to get them adjusted to the correct size for just a small fee. 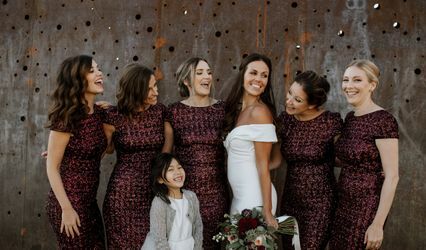 They are located in Canada but are absolutely wonderful to work with!! I highly recommend this company, not only for there service but the quality and speediness as well. Let me just start by saying I LOVE my ring. 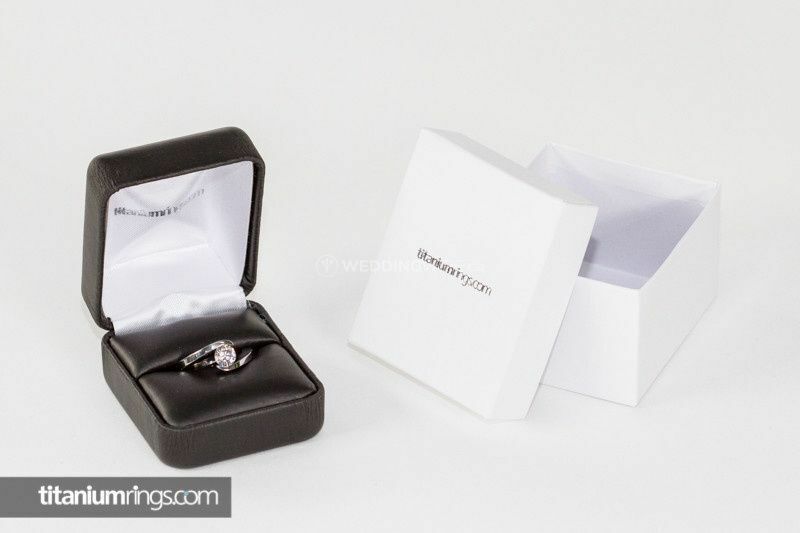 My fiance and I picked out my engagement ring together and we both got exactly what we wanted. 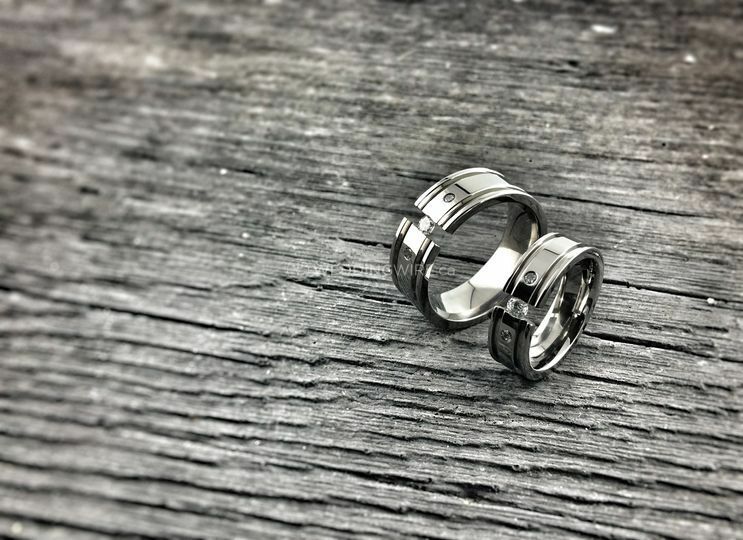 We found a very cute set of titanium rings - a set of engagement and wedding band for me that matched perfectly with his wedding band. We ordered them all together and they arrived just like pictured and right on time. While I only gave them a 4 out of 5 for Flexibility, they have a HUGE selection of stones you can get 100% of what you want. 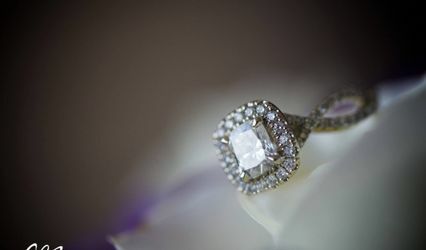 I didn't want a diamond, for example, and they have White Sapphires, CZ, and Moissanite (which is what I wanted) along with other non-white stones. My Moissanite has two sapphires (real) on either side and they're beautiful. The clarity and color of all the stones is wonderful. 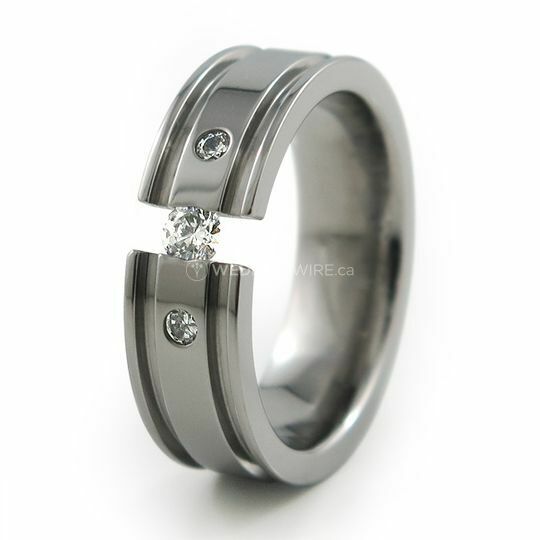 Reason I gave them 4 out of 5 for flexibility was because I emailed them and asked if they had two rings from different sets to show me what they might look like together and they said "no, they really only work as a set." Not a huge problem, just might have been nice to see how they looked together. I will definitely order from them again. The titanium is beautiful and sturdy and exactly what my fiance and I wanted.